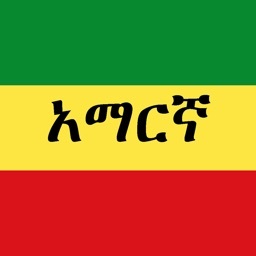 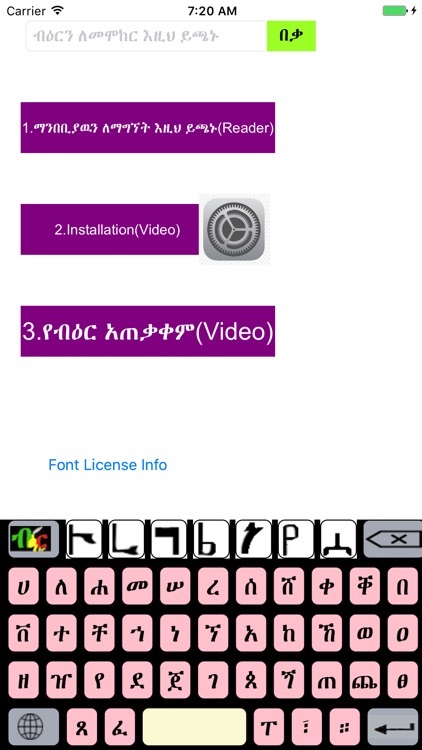 Biir is an Ethiopic Keyboard and Reader. 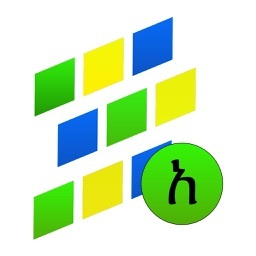 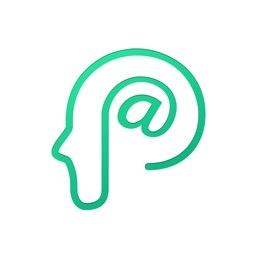 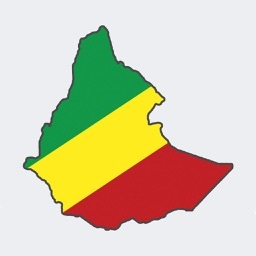 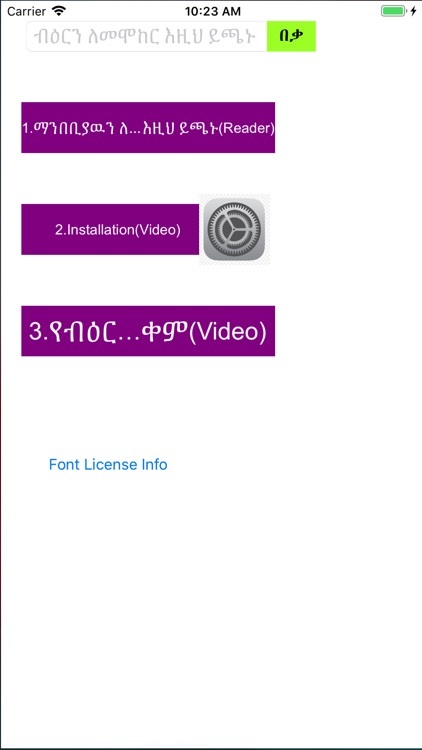 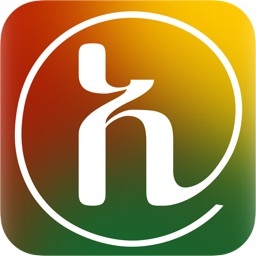 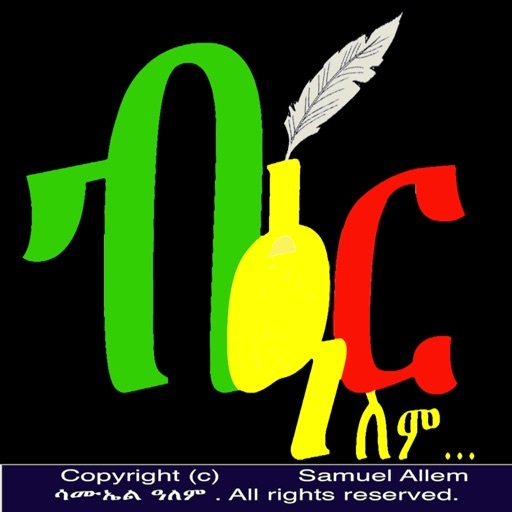 It is a unique approach to writing Amharic and other Ethiopic languages. 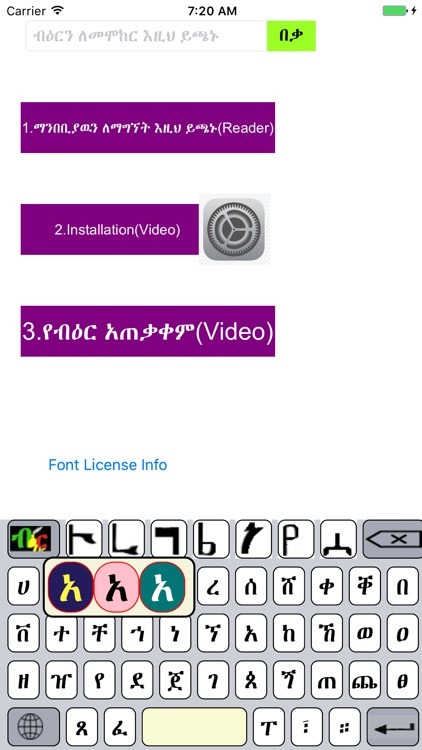 The primary(geez) characters are shown on the screen. 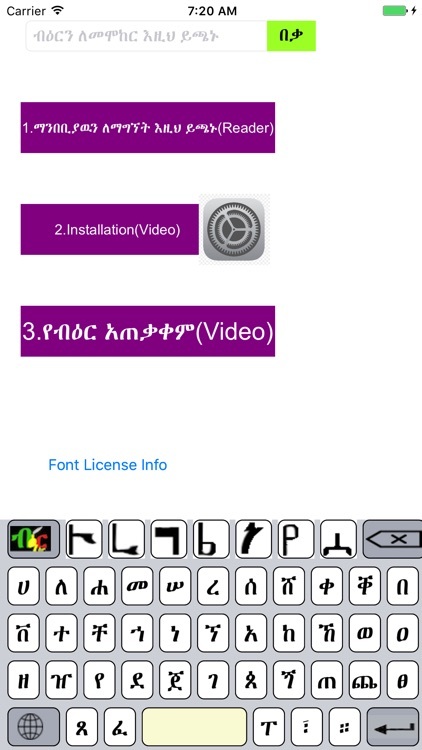 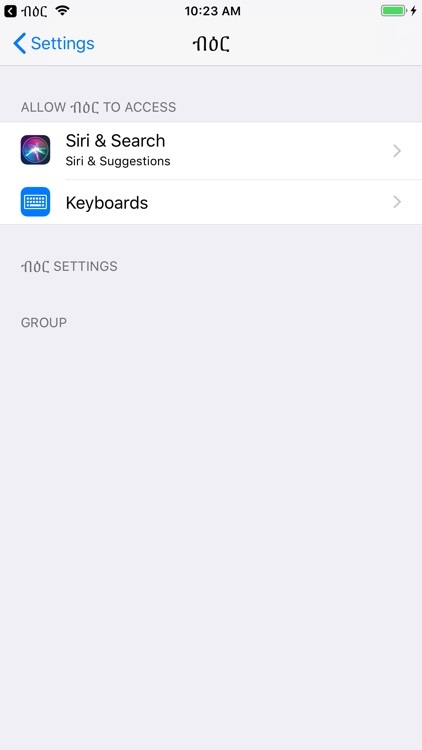 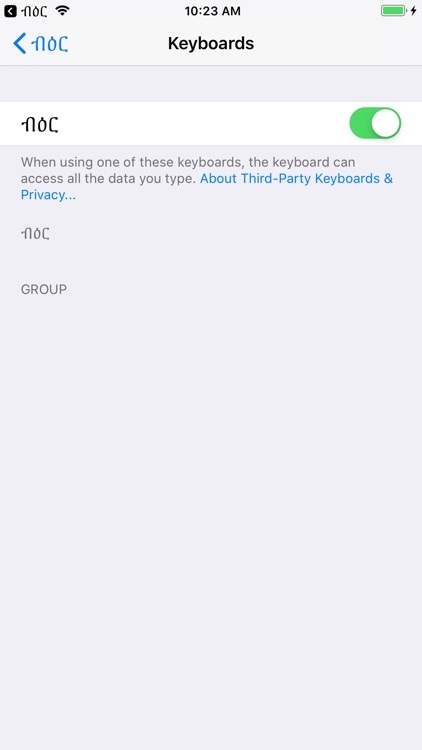 To write the modified versions of the same character the user presses the geez letter followed by the 'kitiya' mark shown at the top row.